I sewed a tie; I didn’t realize how much hand sewing was involved; there’s barely 4 machine stitched seams, a ton of ironing, and plenty of blind stitch. Still, they are easy, and I am pretty pleased with the results. wow! I’ve had plans of doing this but never got round to it. Did you work out of a pattern or did you invent it? 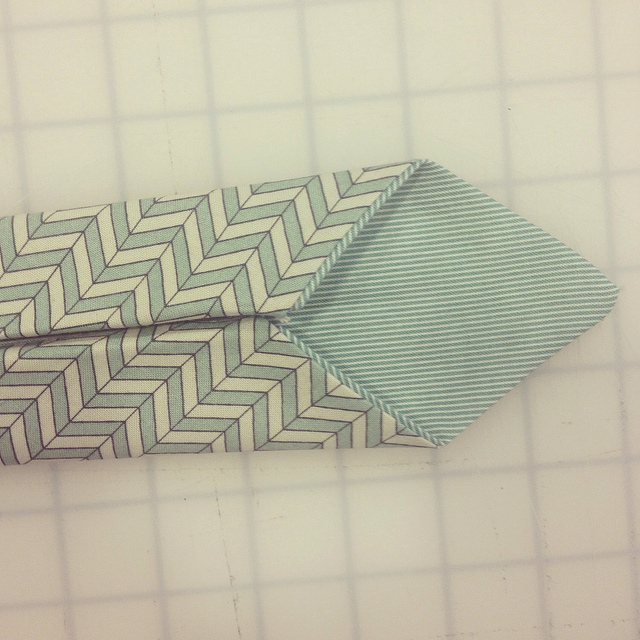 worked off a pattern for a classic tie my friend created.